Brush Mountain East Wilderness, established in 2009, is a 3700 acre jewel nestled in rural Craig County, Virginia. While the area is small it makes up for its diminutive size with a spectacularly steep mountain ridge deeply incised by numerous small streams and finger ridges. Brush Mountain climbs from Craig Creek nearly 1,600 feet to the crest. The scarp provides a dramatic backdrop for the Craig Creek Valley and Sinking Creek Mountain to the west. The view from the rock outcrop near the Audie Murphy VFW Monument is spectacular. Brush Mountain East is held up by a layer of Devonian Sandstone, but the more friable strata on the north side have developed the many small drainages that coalesce into about 15 tributaries of Craig Creek. 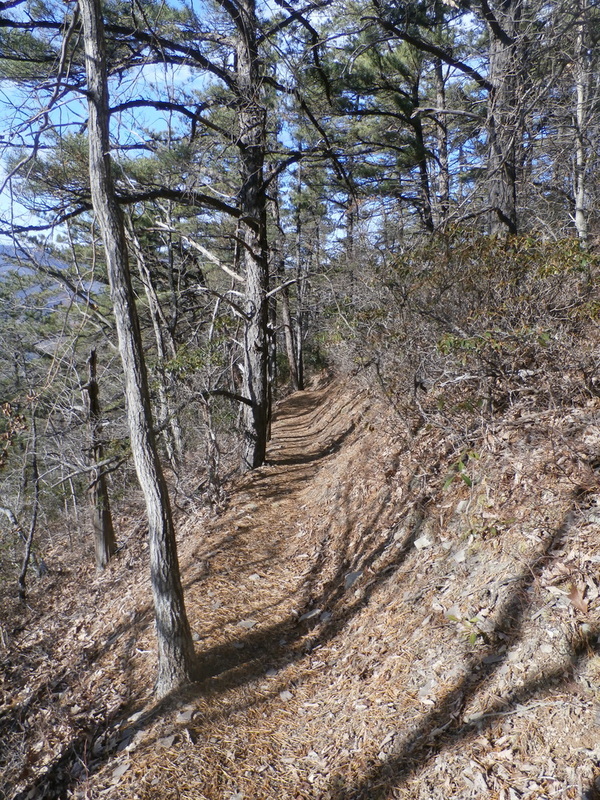 Several miles of the old Appalachian Trail (AT) traverse the mid-slope of Brush Mountain. This abandoned trail weaves in and out of these steep, narrow drainages that make this wilderness so rugged and wild. It crosses many small ephemeral streams that when flowing create numerous small waterfalls splashing restlessly down the mountain’s western slope. It is often said that small wilderness does not provide adequate solitude, but a hike along the old AT route quickly dispels this myth. Brush Mountain East with its deeply incised and sheltered drainages takes one far away from the hustle and bustle of everyday life. However, solitude is not the only value offered by small wilderness. Brush Mountain East provides a refuge to Black Bear, whose signs can be seen scratched on old pines. It plays host to approximately six hundred acres of old growth forest, and within a generation most of its forest-covered slope will become well established old growth. 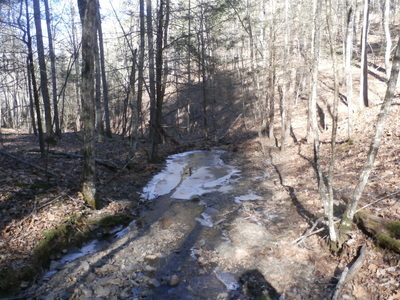 This small Wilderness serves as a host to Table Mountain Pine, Pirate Bush and Box Huckleberry, the latter a rare plant throughout its Appalachian range. While small in size, Brush Mountain East plays a large role in protecting and preserving our natural heritage. At just 3700 acres Brush Mountain East reminds us that small is indeed beautiful. 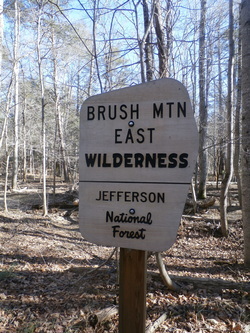 It should be noted that just southwest of Brush Mountain East Wilderness is the Brush Mountain Wilderness. These two areas are separated by a power line corridor. 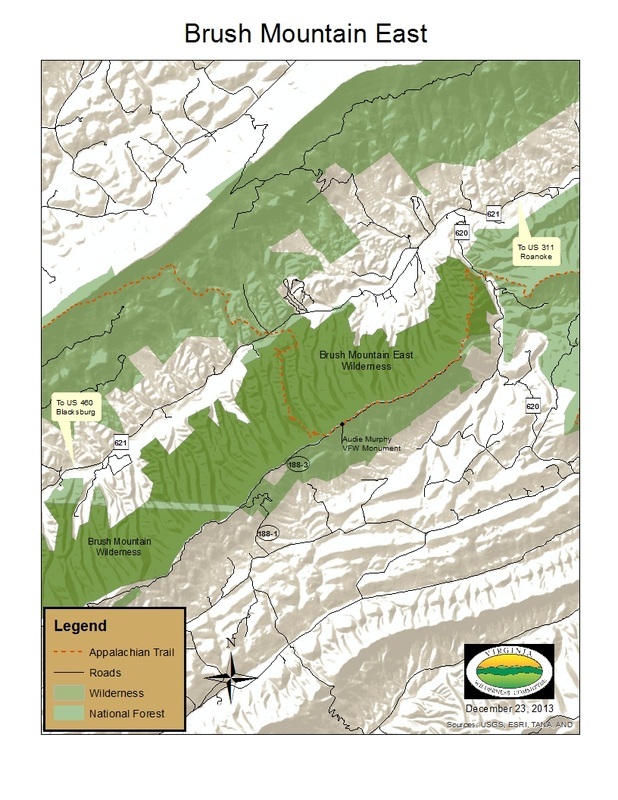 Combined, they protect over 8100 acres of the Jefferson National Forest. The Appalachian Trail is the only trail in Brush Mountain East Wilderness. The trail is about 7.5 miles (one way). It climbs from Craig Creek Valley to the crest of Brush Mountain. 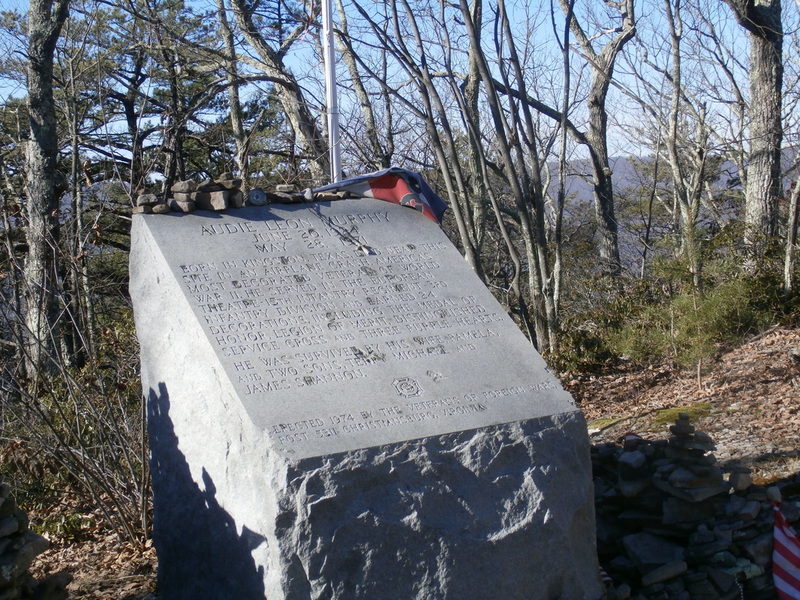 It then follows a forest road to the Audie Murphy Monument before descending to Trout Creek. To visit the area, take I-81 to exit #141. Proceed west on US 311 to County Road 621 and turn left. Follow County Road 621 to the AT parking lot on the right.